Fasten your seatbelts boys and girls, the SSD ride of 2011 is about to begin. 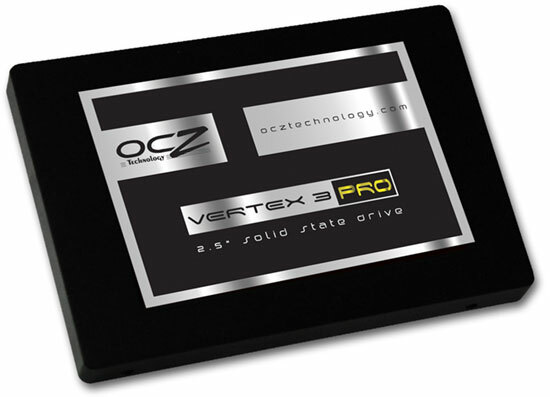 OCZ, who’s been one of the most prominent companies on the leading edge of consumer solid state drives has lifted the NDA on their newest SSD line of Vertex 3 drives. Why is this significant? These are the first drives available with the next generation of SandForce controllers and we’ve got the beta version of the enterprise class Vertex 3 Pro on hand here to preview how it fares in our tests. Specifically, the controller employed is the SF-2582 which promises greater performance than the popular SF-1500 controllers and something we previewed back in October. 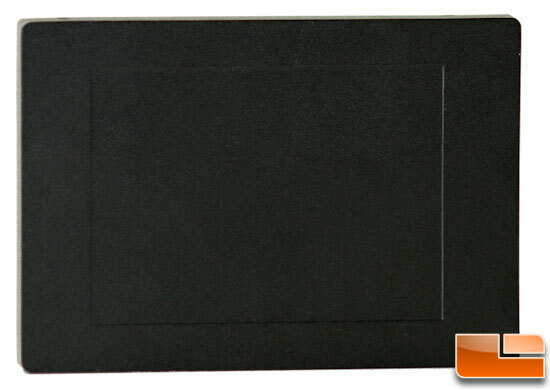 If you’ve kept up with our SSD reviews, you’ll know we’ve mentioned numerous times how the performance of many drives are hitting the threshold of the maximum bandwidth afforded by the SATA 3Gbps interface. The Vertex 3 Pro won’t have such issues because it sports a SATA III (6Gbps) which should give the drive plenty of room to stretch its legs which is evident from the 550MB/s read and 500MB/s write specifications although there is a caveat to this that you’ll see later in the article. The SATA III interface will be a theme this year as more drives are rolled out across all companies. Our engineering sample showed up plain and un-branded but obviously the production models will not whip this way. Available in capacities of 100GB, 200GB and 300GB with MSRP’s of $525, $775 and $1350 respectively, expect to see the Vertex 3 Pro drives available soon. 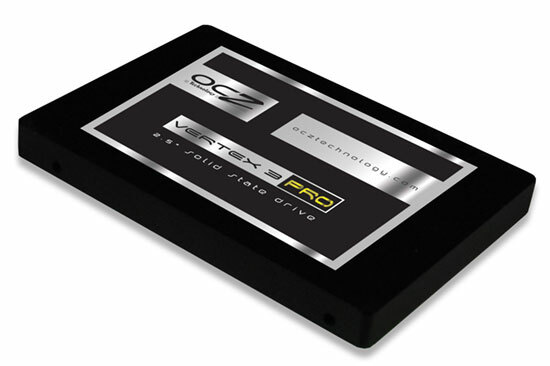 There will also be a Vertex 3 line (sans the Pro) which will be more consumer oriented and priced significantly lower which should be shipping from OCZ very soon. Since this is a beta sample, the firmware is not final and the overall design and/or hardware may change as well but usually at this point they are pretty close to what consumers will see. Bear in mind that this is the enterprise class of the new Vertex line which carries the SF-2582 controller along with a super-capacitor for mitigation of data loss/corruption during sudden power loss. The consumer model will carry the SF-2200 controller which is basically the same as the SF-2582, likely higher binned and without the extra safeguards in place. This is just like the relationship between the SF-1200 and SF-1500 controllers. Now that we’ve gotten the introductions out of the way, let’s move on for a closer inspection of the internal components.